Cooper Jacoby (USA), core.pan (Sybil Montet & Simon Kounovsky) (FR/DE), Daniel Rossi (IT/DE), Eleni Papazoglou (GR/UK), Eli Cortiñas (ES/DE), Holly Childs (NL/ AU), Jaakko Pallasvuo (FI) & Anni Puolakka (FI/NL), Philomene Pirecki (UK), Rebecca Ackroyd (UK), Renee Mboya (KE), Sarah Chow (USA). Cooper Jacoby (USA) is an artist based in Los Angeles. His work explores the ways in which hardware scripts space and how its malfunctions reveal the infrastructure of the built environment. Informed by extensive research into material histories, Jacoby uses sculpture to trace the intersections of artefacts, interfaces and economies, seeking to uncover the systems undergirding them. Recent solo exhibitions include Disgorgers, presented by Swiss Institute at LUMA Westbau, Zürich (2017); Bait, Freedman Fitzpatrick, Los Angeles (2017); Matte Wetter, Staatliche Kunsthalle Baden-Baden (2016); Stagnants, Mathew, Berlin (2016) and Deposit, High Art, Paris (2015). Jacoby has participated in group exhibitions at KW Institute for Contemporary Art, Berlin; Neuer Aachener Kunstverein, Aachen, and White Flag Projects, St. Louis. At Rupert, Jacoby will continue an ongoing project centered around the Radio Nurse, the world’s first baby monitor. Ventriloquizing this seminal device designed by Isamu Noguchi, Jacoby will develop a multi-channel audio text which is loosely structured around the format of a radio play to be performed by a chorus of sculptures. core.pan is an artistic research program initiated by Sybil Montet and Simon Kounovsky (France/Germany) in May, 2016. Both are freelancers in the fields of video and motion design, they live and work between Paris and Berlin. Their project is based on an extensive reflection on biomimetic engineering and consciousness, experimental science and symbiotic systems design. Their work experiments with materiality and the digital as a way to explore the dynamics between mysticism, artificial intelligence, experimental science and symbiotic systems design. In 2017 they created four solo exhibitions and exhibited in various art spaces and fairs such as Plato, Ostrava; Assembly Point, London; Art Athina Art Fair, Athens; Macao, Milan; A.M.180 gallery, Prague; Noplace gallery, Oslo. Recently they were artists-in-residence at A.I.R Futura in Prague, and opened their group exhibition on the 10th March at Exile gallery, Berlin. At Rupert they will set up a project exploring the intersection of land art and VR. It will take the form of outdoor experiments with sculptural works and new media. They will explore the ancestral role of natural environments as places of worship, embodying in an augmented sculpture the energies and singular patterns of nature, while crystallising the mutability and fragility of a landscape in the form of an engaging virtual archive. Daniel Rossi (Italy) is an artist living and working in Bremen, Germany. Recently he appeared in various group exhibitions including: Jahresgabe 2017, Künstlerhaus am Deich, Bremen; AWOL, Raum für drastische Maßnahmen, Berlin Friedrichshain, 2017; Oh Wow, Weserburg, Bremen, 2017; Material Translations, Lofthouse, Nottingham, 2016 and many more. In 2017 he was a master student at the HfK Bremen, class of Stefan Baumkötter. His work picks up structural elements of painting. Again and again he interrupts the surface of his canvases and introduces a haptic dimension in the picture, for example through the use of loose fabric elements. In his experimental handling of color and material, Rossi does not treat surface and materiality as opposites. The images have a process-like quality and invite you to meander through their layers. Only over a longer period of time does it reveal its diverse moments and aspects, whose literal complexity are reminiscent of the characteristics of a fossil. During the residency he will develop the first work from a new series of paintings, which will be exhibited next year. The main focus of his work will be on materials, fabrics, alteration, textures and techniques like absorbing patterns of the environment through liquid latex and painting interventions. Rossi is planning to document his experiences in everyday notes, which might evolve into an open discussion at the end of residency. Eleni Papazoglou (Greece) is an Athens-born designer, researcher and producer. She lives and works in London, where she completed MA from the Royal College of Art and a BA from Camberwell College of Arts. Her current research explores participation, social antagonism and tension, as observed within institutionalised settings. Papazoglou practice, whether curatorial, written or visual, reflects on contemporary social phenomena, public engagement and the exploration of educational methods. For the residency at Rupert, Papazoglou has proposed How to Meetings, a series of performative workshops that will culminate with a creation of a manual codifying the conduct of meetings. By combining a range of practical decision making techniques, reenactment, as well as playful experiments, the resulting manual aims to challenge the rituals and forms we assume to be democratic. Through a collection of thoughts, a series of actions and reflections, a research process and simultaneously the collective creation of an outcome, the project aims to instigate ways of thinking about institutional forms as malleable and not only from a top-down perspective, but also from the bottom up. Eli Cortiñas (Spain) has been a guest professor at the Art Academy Mainz and the Art Academy Kassel. She has been awarded with grants and fellowships from Villa Massimo, Rome; Karl-Schmidt-Rottluft; Kölnischer Kunstverein Atelier; Shortlist Award for Film Art; Freunde der Nationalgalerie/ Filmakademie; Goethe Institute Torino; Kunstfonds; Berlin Senate; Villa Sträuli, Switzerland, amongst several others. Selected solo and group exhibitions include those at venues such as Museum Ludwig; Centre Pompidou; Kunsthalle Budapest; Museum Marta Herford; Moscow Museum of Modern Art; Kunstraum Innsbruck; Centro Atlántico de Arte Moderno, and MUSAC. Cortiñas has also participated in Moscow International Biennial for Young Art; Mardin Biennial; International Short Film Festival Oberhausen; International Curtas Vila Do Conde and Nashville Film Festivals. She lives and works in Berlin, Germany. During the Residency at Rupert Cortiñas will proceed with a project she is currently working on – a video essay which examines the modern tradition of juxtaposing the concepts of the face and the mask, idealizing the “real” face and assuming only illusion and the spurious expression in the mask. The piece titled Rendezvous De Masques, takes the tension between these two motifs, their blurred separation and an etymological, philosophical as well as cultural examination of the motifs as the starting point of an audiovisual essay. Holly Childs (Australia/Netherlands) is a writer and artist living in Amsterdam and Sydney, researching the language and emotions in and of ecological and computational systems. Author of Danklands (Arcadia Missa, 2014-7) and No Limit (Hologram, 2014). Postgraduate researcher in The New Normal program 2017 at Strelka Institute, Moscow. Recent presentations of her work include: Patternist, a collaboratively developed urban exploration AR game demo (2017); Hydrangea 1 with J. G. Biberkopf for Rupert, Vilnius (2017); Have The Dusk Deepen for Rogue Agents curated by Auto Italia, at Firstdraft, Sydney (2017); art writer in Adam Linder’s choreographic service Some Proximity at Biennale of Sydney (2016); Danklands [Swamped]for Liquid Architecture, National Gallery of Victoria, Melbourne (2015) and as curator of Quake II, Arcadia Missa, London (2014) and waterfalls.biz at Slopes, Melbourne (2014). In residence at Rupert I will be preparing two works in development for presentation in late 2018. Uncanny Valley Girl, a collaboration with Australian choreographer Angela Goh, and Hydrangea a series of audio and performance works created in collaboration with J. G. Biberkopf. Jaakko Pallasvuo & Anni Puolakka (Finland/Netherlands) are artists based in Helsinki and Rotterdam. Pallasvuo works with moving images, performances, exhibitions and comics. In his work he explores the anxieties of being alive now, and the prospect of living in some possible future. In recent years his work has been presented at New York Film Festival; Museum of Modern Art in Warsaw; TBA21 and Jupiter Woods, among others. Puolakka creates performances, videos, installations and drawings in which reality-based materials are incorporated into fictional worlds. The works play with the boundaries of human animals who seek meaningful and vibrant – sometimes drowsy and dirty – involvement with other beings, objects and surroundings. Puolakka has lately shown works at PLATO, Ostrava; Kiasma; TENT, Rotterdam and Performance Space New York, New York. At Rupert, Pallasvuo and Puolakka will engage in a daily practice of painting with gouache on paper – a parallel activity to their long-term video collaboration. Their interest in painting is tied to the concept of observation that historically held a central position in visual arts, but got sidelined by rapid advances in imaging technology and conceptual practice. In their thinking, painting and observation could be recast as essential components to more empathetic, sensual and magical ways of being in the world. During the residency the artists will open their thoughts and practice to dialogue in the form of a presentation and a workshop. 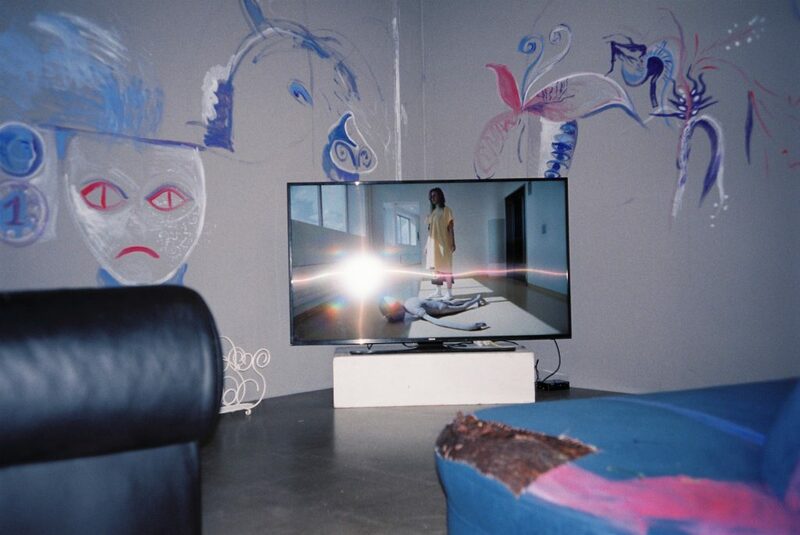 Philomene Pirecki (UK) is a multidisciplinary artist based in London working across photography, painting, sculpture, sound, video and writing. She has recently exhibited her work at Supplement, New York; Chelsea Space, London; Kunstmuseum Luzern (part of Laure Prouvost’s solo exhibition); Northern Gallery for Contemporary Art, Sunderland; Pace gallery, London; Palais des Beaux-Arts, Paris; State of Concept, Athens; South London Gallery, London; Tate Liverpool (part of The Serving Library collection); Wysing Arts Centre, Cambridge. Pirecki was shortlisted for the 2013 Max Mara Art Prize for Women. She co-runs Casa Delirium clubnight / sound programme with Paul Purgas. During her residency at Rupert, Pirecki will develop her sound work and ongoing research in the form of discrete works and an audio-visual performance. She will work with somatic, spatial and material recordings to acoustically capture time, sensation, memory, resonance and electromagnetic energy. Using analogue and digital technologies and phenomena including vibration, echo, bioacoustics and entropy she will explore the temporal and material transmission of sound and data, exploring the methods by which information accumulates, persists, mutates or disappears over varying conditions in time, body and place. Rebecca Ackroyd (UK) lives and works in London. She graduated from the Royal Academy School in 2015 after completing her BA in Fine Art at Byam Shaw School of Art in 2010. Most recently Ackroyd has presented solo exhibitions at Gallery Weekend Berlin – Peres Projects, 2018; DRAIN – Galleri Opdahl, Stavanger, Norway; The Root – Zabludowicz Collection invites series, London; House Fire at Outpost Gallery, Norwich. Recent group exhibitions include: Independent Art Fair, New York; Beacons/ Pharos – Caustic Coastal, Manchester; Lit – Union Pacific, London; Walled Gardens in an Insane Eden – z2o Sara Zanin Gallery, Rome and many more. Ackroyd’s practice involves digging down into existing objects and memories and reconfiguring them into something new. Her installations offer dream-like fictional landscapes informed by tough realities. Through shifting scales and moods, from the arrestingly bold and absurd to the subtle and intimate, the work pursues a feminist exploration of the psychology of space and the ownership of bodies. At Rupert artist is planning to make a series of drawings and written works that correspond with one another and will explore the context of her artistic practice as a whole. Renée Mboya (Kenya) is a writer, curator and filmmaker based in Nairobi, Kenya. Her work is concerned with memory and specifically the use of autobiography in contemporary narratives to rehabilitate misrepresentations in history. Renée’s most recent project opened at de Appel Arts Centre, in Amsterdam and was entitled You Must Make Your Death Public. You Must Make Your Death Public was based on a concept loosely inspired on the working methodology of filmmaker Chris Kraus. It is about taking oneself as a case study, as one’s own case in point, being first and foremost one’s own most immediately available raw material and doing so without shame. It is a way, a dangerous way, of speaking the unspeakable now, a contemporaneity for which there is no suitable form. A form that allows all speakers to have their own agency to speak completely. Instead of this meaning it cannot be spoken, it means quite the opposite: that it must be. And it is only through an unashamed subjectivity that it can be. Mboya’s practice has evolved in this way, into one that relies on storytelling as a form of research and production. At Rupert, she will be working on a filmic reflection on mondo films made about Africa between 1960 and 1992, observing this sensationalist form as a way to question the place of media and film in the heritage of learning and representation. Sarah Chow (USA) lives and works in New York. She received a MFA in Photography at Bard College in Annandale-on-Hudson, and a BA with Distinction in Digital New Media and Imagery at New York University. Chow is collaborating on a forthcoming exhibition with Ei Arakawa and Christian Naujoks at Kunstverein für die Rheinlande und Westfalen, Düsseldorf. She has previously exhibited at Manila Institute, New York; 67 Ludlow, New York; and Strongroom, Los Angeles. For the Rupert Residency, Chow will be engaging the thought-pictures of Western alchemy to encrypt a series of speculative images that draw upon references from computing and cryptography to contemporary techno-mystical forces. This project continues Chow’s examination of the hidden power structures generated by technical media and codes (taken in its expanded sense as encompassing both computational programming and a system of conventions, classifications and instructions). Her project researches and intervenes into the history and development of knowledge production, interrogating media’s language of rationality and logic. In doing so, she proposes an alternative narrative to this history and language by uncovering their historical relationship to mysticism and the arcane. Picture: Installation view of HOST (2017/2018) by Jaakko Pallasvuo, Anni Puolakka and TARWUK at Showroom MAMA, Rotterdam. Photo: TARWUK / Ivana Vukšić.